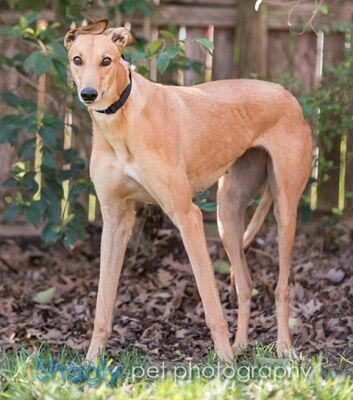 Voom Voom, racing name, MRL Korvette, is a 3 1/2 year old red fawn female born September 19th, 2013. 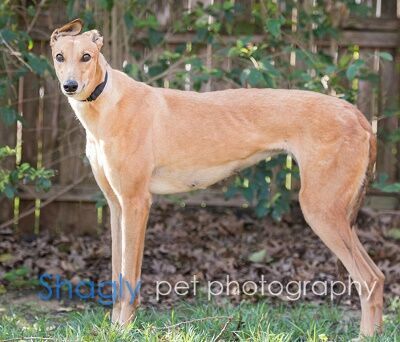 Her sire is Atascocita Bowl and her dam is USS Cool Chase. She shows 87 races on file in Florida and Texas. It is not known at this time if Voom Voom will be small animal or cat tolerant. Pictures coming soon.